The laundry room, grandma’s cupboard, the “first time” of some great photographers. There’s has always been a place and some feelings bonded to a first time; the arrangements, the nerves, the expectation, the gloom, the dilated pupils, the smell, the touch… until, finally, something appears from the shadows, something that starts shaping itself, and the image appears, recognizable, shiny, humid. For everyone, or mostly everyone, this is “the moment” that they will remember during all their lives. It all depends, and mostly in this situations, of the chemistry, what we usually say that “either you have it or not”, or better, “that works or doesn’t work”. Live reveals itself different to us when we experiment, some have more skills than others, our “first time”. Still excited, with accelerated pulse and with this “don’t know what” in our eyes we get out of the darkroom, because… we are talking about photography, what else? Darkness has been always related to mystery, to the unknown, to things that appear and disappear, to secrets, absences and presences that you can perceive and feel,… and which are developed. Same as with the images. The developing process with its touch of mystery and their “magic potions” it’s what hooked many to the world of photography, not the “click” of the camera. To us, the crazy ones of photography, the darkroom wasn’t a punishment, not even a childhood corridor to a world of nightmares, not even the place where those childhood monsters hid once they were too big to fit under our beds. No, the darkroom was that magic place where many kids discovered the true magic, that of those white papers which when submerged in a liquid revealed their most hidden secret: a printed image, a memory, a moment stolen from time. It could be a portrait, an afternoon at the park, a weekend excursion with our parents, a visit to our grandparents… Everything came back to live and remained printed forever in that dark room of mysteries. It was within those tiny home darkrooms, in those first attempts, when hobbies that would last a live were forged and professional careers that in some occasions would lead to the highest places. Among those who get there, and who are getting there, to the top, there are some of them who kindly remember that first time which changed their lives forever. Bruce Davidson had his “first time” at a friend’s place. There he saw how an image appeared in a paper submerged in a liquid which look to him as “plain water”. He rushed home and begged his mother to build him a room like that where he had just been. Their family emptied their grandmother’s cupboard which was just one meter deep, and she transformed it into little Bruce’s paradise. On the door Davidson wrote “Bruce photo shop”. Today, at 85, Davidson keeps on experimenting the magic of being in the darkroom. “There’s a wonderful thing about being in this darkroom“, he says. “I like it because it’s a kind of a spiritual place. I start at 4:30-5:00 in the morning, so it’s kind of ritual so I feel most pure and I can look into my photographs and see what’s really there “. Another of Magnum’s photographers, Trent Parke, also felt in love with the magic of that first experience. His mother took photos for some newspapers. After suddenly dying of an asthma stroke in front of Trent, the Australian started to use her camera and to develop the photos… in the laundry room. “I don’t remember the exact moment it happened, the time when I picked up mum’s Pentax Spotmatic camera and started to take photographs. The black box with the hole and silver lens attached. And it was that darkroom that would change my life forever. Seeing the first photograph come up in the developing tray was the best magic trick I had ever seen”. 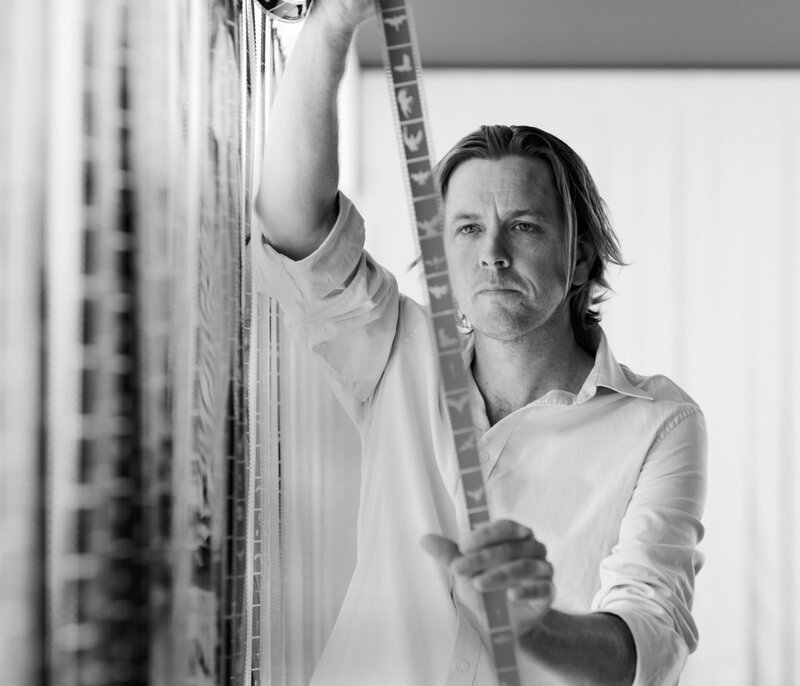 The author of photobooks such as ‘Dream / Life’, ‘Minutes to Midnight’ and ‘The Black Rose’, among others, he is still in love with the chemical processes and the traditional techniques in the darkroom. Susan Burnstine, a photographer less known that Erwitt and Parke, but with a particular style and aesthetics, used the darkroom for the first time when she was a kid, in the basement of her home. Her father built it; he was an inventor and his workshop occupied part of this basement. However the true “guilty” who started making photos was her mother, a photo enthusiast who collected old cameras and who started making photos to cope with her constant nightmares at night. The developing process plays a key role in the really personal style of Burnstine’s work, a photographer who also handcrafts her own cameras. The magic of the darkroom goes beyond what we feel the first time we use it. 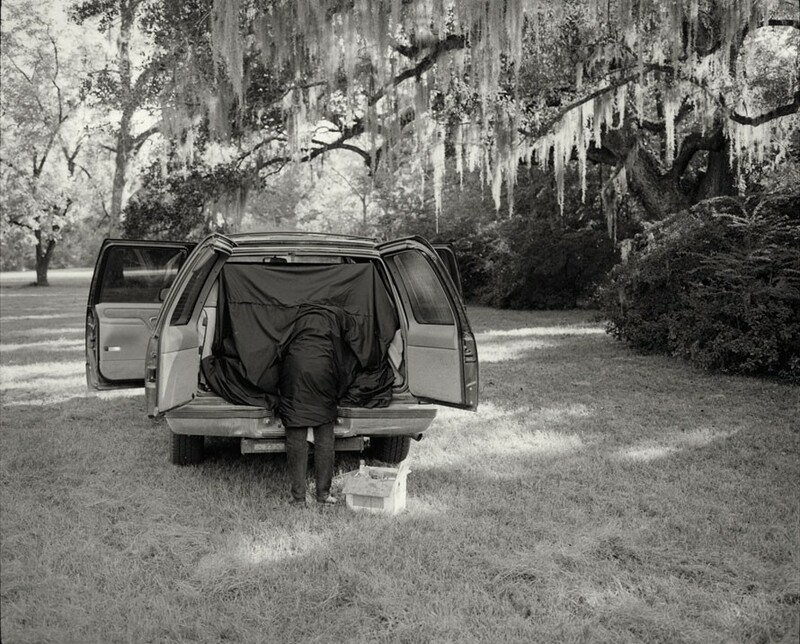 A darkroom doesn’t even have to be a room per se, it can be for example the trunk of a car. This doesn’t make it less professional or less useful as it has been, and it’ll probably still be, essential in the work of photographers such as Weegee or Sally Mann, to tell just two examples. 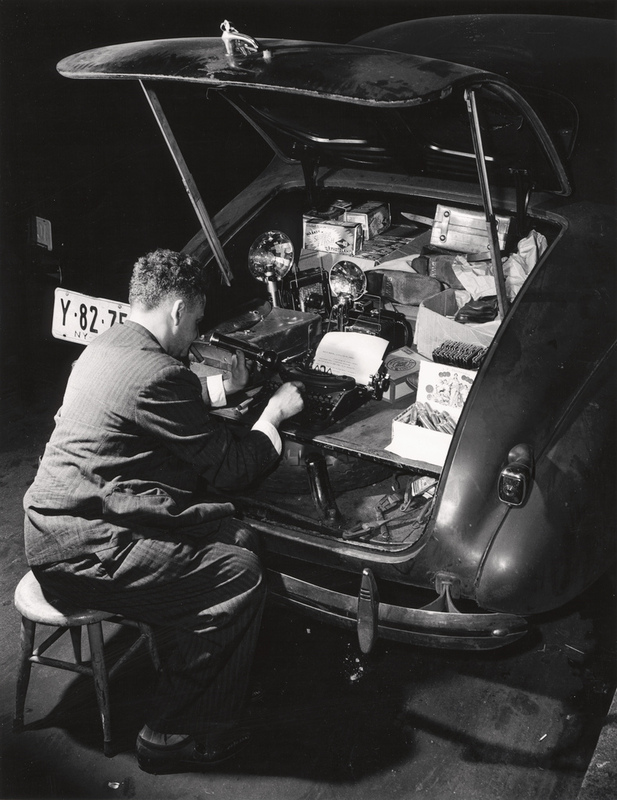 Arthur H. Fellig, better known as Weegee, based his success, as well as for his particular use of flash and the capacity of becoming the first one to get to the crime scene, in the portable darkroom (and office) and he had in the trunk of his car, a Chevy from 38. The possibility of developing and printing his photos “in situ” was what helped this photojournalist, who died in 1968, to be always the first one to send his photos to the media. “I bought myself a shiny, knew 1938 maroon-colored Chevy coupe. Then I got my press card and a special permit from the Big Brass to have a police radio in my car, the same as in police cars. I was the only Press Photographer in the Big Apple who had one. My car became my home”. Sally Mann is a different story. The North American photographer uses the darkroom in the trunk not to develop the photos but to prepare her wet plate collodion plates when she goes to take photos of landscapes. Mann explains with a smile that her interest for photography was born during her high school years, when there wasn’t anything more amazing that having an excuse to go to the darkroom with his boyfriend at that time. The author of “Immediate family” is famous for using an old 8×10 plate camera which is more than 100 years old and by her particular developing techniques. The next video is a magnificent resume of the procedures of the photographer from Virginia. Dubbed to Spanish, it shows Mann readying her plates in the trunk of her van (from minute 3:51 till 5:04), working with her bulky camera and solving in a curious way the problems that she finds (5:08 till 5:55) and also developing at her lab (0:22 till 1:39 and 13:51 till 14:10). There is not much in common with Sally Mann style, based in the random defects of the materials and processes that she uses with the captivating and even insulting perfection of the great Irving Penn. Anyway Penn and Mann have something in common, which is precisely the importance that they both give to the process of developing and printing. 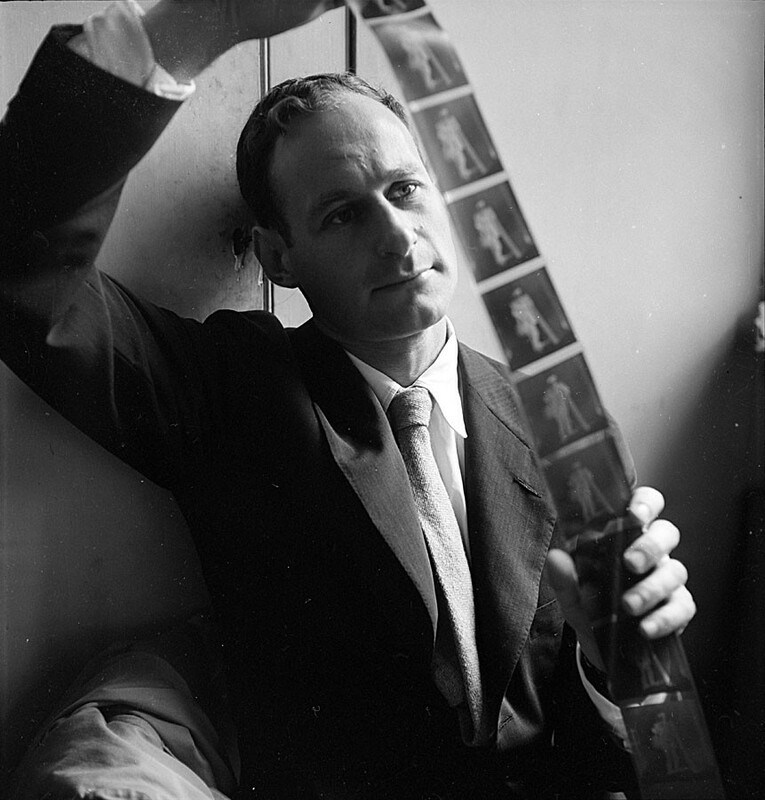 Penn, specially, was known for working intensively at the darkroom and for the importance that developing and printing had for him. 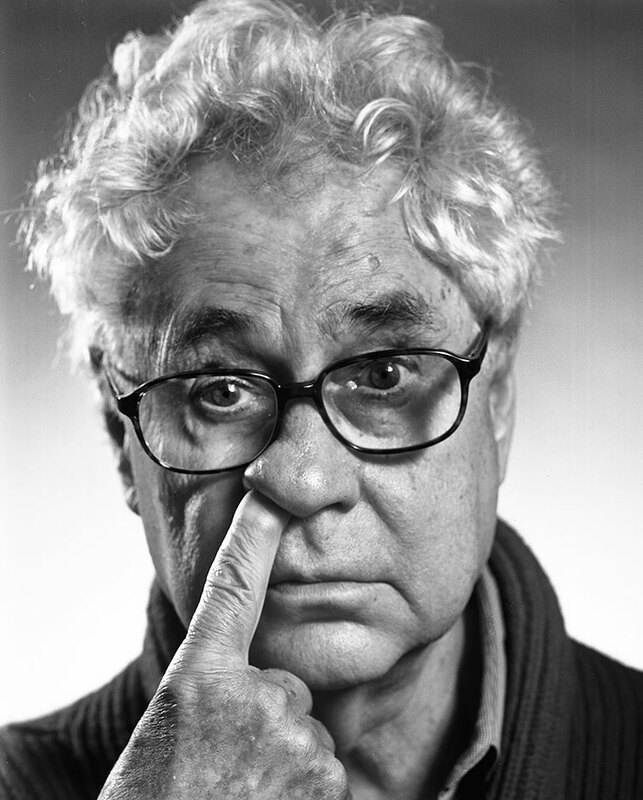 His irrefutable precise techinque and his flawless contact prints made with a large format camera, very similar to Sally Mann’s, made that all his photos, be it of Vogue models, famous artists portraits or some cigar butts picked up from a trashcan, have an unequalled touch of elegance and subtleness. That is thanks to his way of looking and to his technique, but also thanks to the complete mastery of the development. The dark atmosphere, lonely and quiet which you live in a darkroom has even lured those who are used to the big spotlights, flashes and huge crowds of fans. The actress and amateur photographer Jessica Lange describes it like this: “There’s something magical still about it when I get in a darkroom, and you’ve shot a roll of film and you develop it and you look at your negatives, and there’s, like, imagery there. That always stuns me”. 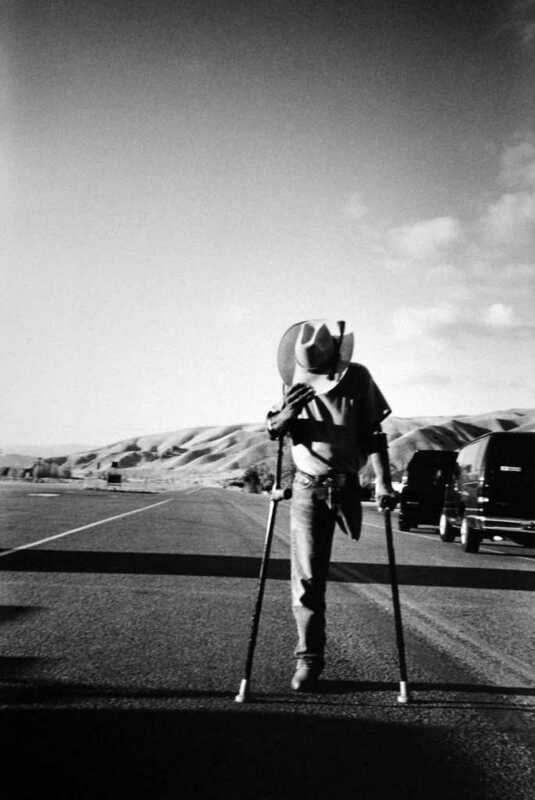 “I’ve been taking pictures and making movies for most of my life… I started taking pictures in high school. I set up a darkroom and would lose track of time, developing and printing for hours and hours, listening to FM radio in the red ‘safe light’. I must say, I never really enjoyed developing negatives. It’s probably the most important part of the whole process, but what I loved was the printing – watching those images come out of the ‘soup’. Seeing that proof sheet of those pictures I’d taken weeks before and forgotten all about – that’s what I loved. To this day, looking at a proof sheet for the first time is like opening a Christmas present I’ve given to myself. What a great surprise – to see what the camera saw; what worked and what didn’t; to feel the moment of the picture all over again”.